Sweet Jesus = Hammergun + Form Of Rocket . Yeah, I said it. 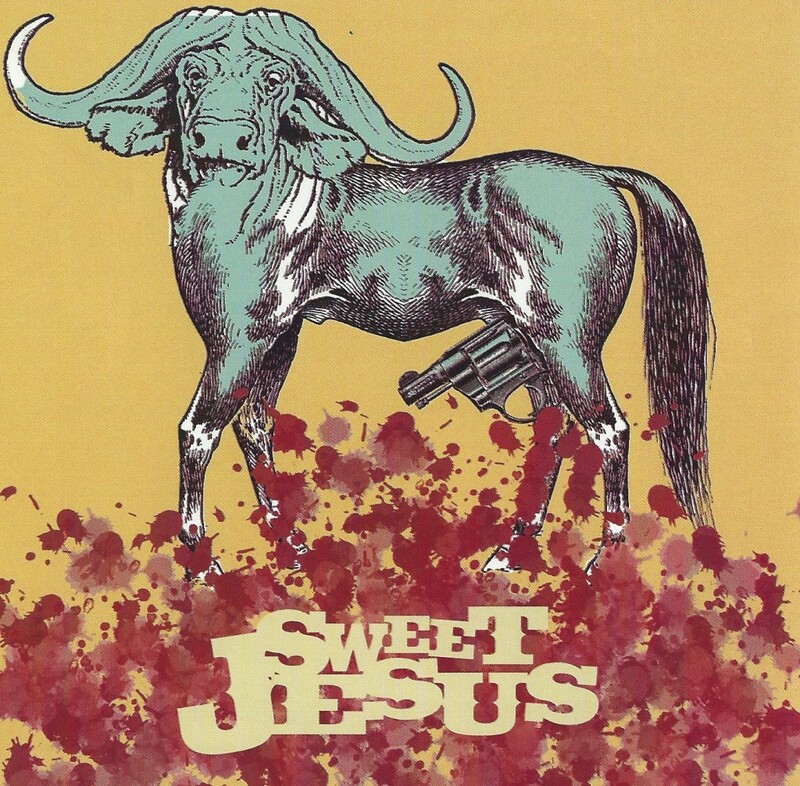 Honestly, and this is a good thing, Sweet Jesus sounds exactly like Hammergun and Form Of Rocket if you mashed them together. Makes perfect sense, considering bassist Sean McClaugherty was in Hammergun, and guitarist/vocalist Peter Makowski and vocalist Curtis Jensen are/were in Form Of Rocket. Add in local uber-celebrity Andy Patterson behind the drum kit, and voila! Sweet Jesus. Now, this isn’t what I would call the most original thing, nor is it what I would call “essential,” but it is a damned fine piece of listening, even at an extremely short 7 minutes and 41 seconds for the whole enchilada. I have to admit that I find it a bit interesting that Exigent Records released a 2-song EP from a band that has been defunct for a couple of years (at least), but I also have to admit that I’m glad they did. Heavy, screamy, and loud in quite an enjoyable way, do yourself a favor and track it down. If you can scrounge change from your couch, you can afford this fucker.